The HC-ARMOR24-GG is an Anchor Armor® rolling hard case for the Go Getter portable sound system. With a retractable handle, wheels, and custom cut foam inserts, the Go Getter can be safely transported with ease. 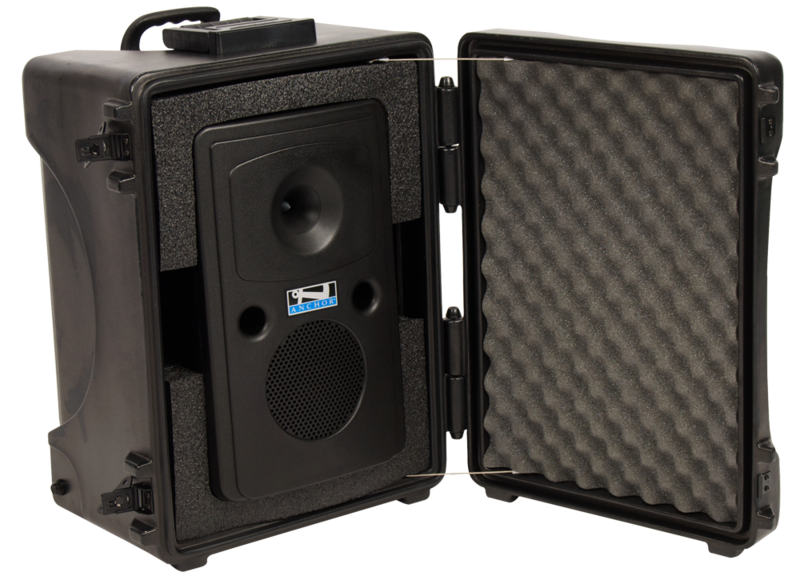 Take the Anchor Audio Go Getter portable PA system on the go and know that the product is secure during transport. Plan on traveling and want to take the Go Getter along? Store the Go Getter in the HC-ARMOR24-GG and check it in as baggage for easy transport on a plane.